There has been much to do around the Affordable Care Act: from passing the law under President Obama, to trying to repeal the law under President Trump. This has left many people confused as to where we are at now – what is the current status of the ACA? The short answer is: The ACA remained in full force for 2018, especially as it relates to US employers, and for now, remains in effect for 2019 and beyond. Even the individual mandate (requiring individuals to have ACA-compliant health coverage or else pay a penalty) remained in force for 2018 – a surprise to many. It made no changes to the ACA employer mandate. It did repeal the individual mandate but only in the sense that the penalties are reduced to zero and this repeal only goes into effect in 2019! The ACA employer mandate remained in place for 2018 and all the compliance rules still apply. Nearing year-end and 2019 tax reporting, this would be a good time to run through the specifics of the employer mandate: who has to comply, how and when to comply, and what the repercussions are if you don’t comply. The ACA Employer Mandate applies to all Applicable Large Employers or ALEs. The act defines ALEs as US employers having 50 or more full-time employees (or equivalents) in the previous tax year. Companies that are affiliates or are commonly controlled are treated as one employer for the purpose of determining ALE status. That means that they must combine their numbers for the full-time employee total. Learn more by watching our video: Does Your Business have to comply with the ACA? What do you need to do to comply and when do you need to do it? 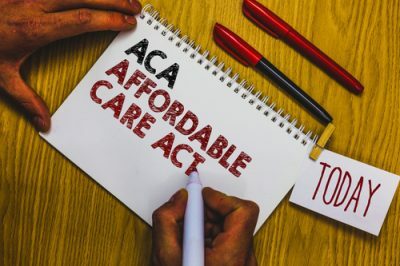 Under the ACA, employers must periodically (usually monthly) offer a certain quality health insurance to full-time employees or risk paying a penalty. This gets complicated – read more about the specifics here. Note that the affordability threshold percentage has decreased to 9.86% for the 2019 filing year. At year end, the ACA requires employers to prove that they have made the right offer to the right employee at the right time. How? By providing each eligible full-time employee a form 1095-C by January 31, 2020. By providing the IRS with copies of these 1095-Cs along with a 1094-C.
Paper filing needs to be done by February 28, 2020. Electronic filing (required for employers with more than 250 1095-Cs) must happen by April 1, 2020. Also, starting in filing year 2018, the IRS will not process individual tax returns unless taxpayers indicate whether they have health coverage. Are there penalties associated with non-compliance? Yes! Employers who fail to comply, or fail to comply on time, or fail to properly document their compliance, will face stiff financial penalties. And they have gone up for 2019: the sledgehammer penalty has been increased to $2,500 annually per full-time employee (minus the first 30 FTEs). The tack-hammer penalty has been increased to $3,750 annually per full-time employee who receives a tax credit! Yes!!! The IRS has clearly indicated that it won’t waive ACA employer mandate penalties. A significant number of employers who have failed to file necessary forms with the IRS in 2015 and 2016 have received letter 226J aka “a penalty letter” from the IRS – here’s some advice on what to do if you get one of those. And remember to reply within 30 days! Once you have sent your thoughtful response to the 226J letter, the IRS will respond with a 227 letter. There is no doubt 2017 – and later 2018 – will be next. As always, Integrity Data’s ACA reporting service is here to assist you with this year’s ACA tracking and filing. For now, expect reporting to continue into 2020 and possibly beyond. Make sure you have the systems and processes in place to do so accurately and efficiently – Integrity Data’s ACA solution can help. Cadillac tax has been delayed for 2 more years until 2022. This unpopular tax on high cost health coverage (40% tax on the value of coverage over specified thresholds) had already been pushed out – and now it is being pushed out again. Take a breather but start thinking about cost containment strategies to avoid this tax when it does go into effect. Health Insurer tax has been suspended for 2019. This health insurance “provider fee” is tax levied on the health insurers based on the premiums they collect – this cost would most likely be passed on to consumers. It was suspended for 2017, came back for 2018 and is now suspended again for 2019 – good news for employers that purchase insurance coverage since it will most likely mitigate insurance premium increases for 2019 renewals. There may be at least a softening of the ACA employer mandate – for example, making the reporting easier for employers by simplifying it. This won’t happen quickly but it is definitely worth keeping an eye on. We will keep you posted – follow our blog.